While the “Fat Leonard” scandal continues to reverberate across the Navy’s upper echelons, recently released records show that getting ensnared in the west Pacific web of corruption and kickbacks is not always a career killer. Take the case of a female Navy officer whose Fat Leonard exploits were substantiated last summer. Back in August 1998, she and shipmates from the salvage ship Salvor accepted free hotel rooms, dinner, drinks and entertainment from the larger-than-life Leonard Glenn Francis and his in-port servicing company, Glenn Defense Marine Asia, during a call to Kota Kinabulu, Malaysia, according to records. The woman, whose name is redacted in the record copy provided to Navy Times, also accepted a free golf outing from Francis, and was accused of going on a gifted “shopping trip” with the Malaysian magnate, where he bought her items. She denied that allegation, however, and there was insufficient evidence to back up the claims, records show. In the disciplinary letter spelling out her misdeeds, Adm. Philip Davidson calls her “a significant contributor and valued leader in the Navy” who should remain in a command position. One officer faces bribery charges and another is accused of patronizing a prostitute. At least two other officers found to have engaged Fat Leonard-related exploits were also recommended to retain command, according to the records, which consist of letters from 2017 in which Davidson summarizes findings for the Navy’s inspector general and chief of naval personnel. One who served aboard the destroyer Pinckney with Carrier Strike Group 11 was found to have spent hours at a February 2010 private party with Francis and other strike group officers “after having been offered the services of prostitutes,” according to the records. Davidson, the head of U.S. Fleet Forces Command, wrote in the officer’s disciplinary letter that they should be permitted to remain in command. Three other strike group officers are implicated in the records for that same party. They include a Destroyer Squadron 23 officer, another Pinckney officer and a carrier Nimitz member, records show. They “remained in a private room at the nightclub for several hours with Mr. Francis after having been offered the services of prostitutes,” Richardson wrote. An officer from the destroyer Milius was faulted for attending a 2012 private dinner party hosted and bankrolled by Francis that included fellow officers, records show. Davidson recommended that the officer not lose command because they are “a significant contributor and valued leader in the Navy,” according to records. The Uniform Code of Military Justice allows the Navy to bring back retirees to face prosecution. While the infractions are less severe than the active duty and retired officers charged by the U.S. Justice Department or Navy, the final fate of the officers and others implicated in the records for taking unethical Francis freebies remains unclear. Davidson notes in the letters that he took “administrative action,” but Navy officials have declined to specify what punishments, if any, were meted out. Cmdr. Mike Kafka, a spokesman for Davidson and Fleet Forces Command, said “all aggravating, extenuating and mitigating factors” are considered in each case. Davidson also noted “significant mitigating factors” in the case of the female officer and several others contained in the records, but the Navy redacted those factors, citing privacy and the ongoing investigation, and officials declined to comment. Francis pleaded guilty in 2015 to bribing Navy officers in the west Pacific for years with booze, prostitutes and other incentives in exchange for classified information on ship movements and lucrative in-port servicing business for his company, GDMA. While the Justice Department is prosecuting the most severe Fat Leonard-related charges involving active duty and retired Navy personnel, Davidson is charged with sussing out the fate of hundreds of other sailors who crossed paths with Francis in the west Pacific in recent decades. 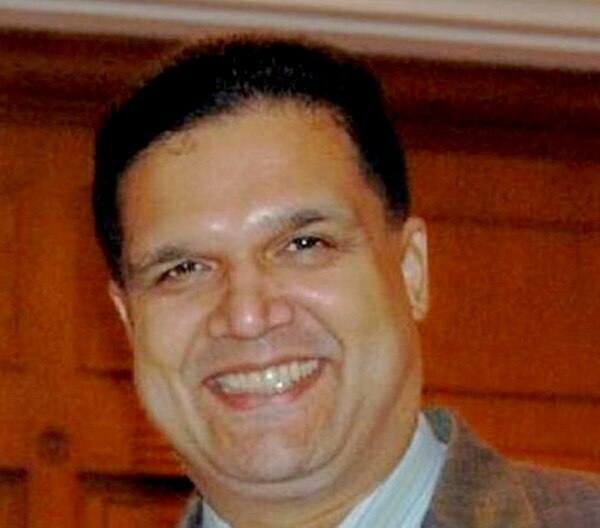 A The Navy’s first court martial of a service member in connection with the Leonard “Fat Leonard” Francis scandal ended with a guilty plea. The Justice Department has charged more than 20 active or retired officers, and the Navy is in the process of reviewing hundreds of personnel whose Fat Leonard-related transgressions did not rise to the level of federal prosecution, but could be punishable via military justice. The service has announced criminal charges against five officers. The Navy has also declined to provide a tally of how many cases have been resolved, but officials said in November that 440 sailors, including 60 current and retired admirals, were being reviewed by the sea service. The disciplinary letters are dated between June 2017 and October 2017 but address alleged actions from years ago. It remains unclear whether the Navy members cleared or found guilty in the recently released records are still on active duty or have since retired. Among other Fat Leonard foul-ups listed in the records, an officer with Carrier Strike Group 11 was found to have “improperly endorsed” Francis’s company from July to September 2007, according to records. The Navy redacted the exact circumstances of that misconduct in the copy provided to Navy Times following a Freedom of Information request. “There is no evidence that (the officer) took action to benefit GDMA aside from the (endorsement) written in 2007,” Davidson wrote. The officer was also found to have attended a Francis-funded dinner with other officers, Francis and GDMA employees. 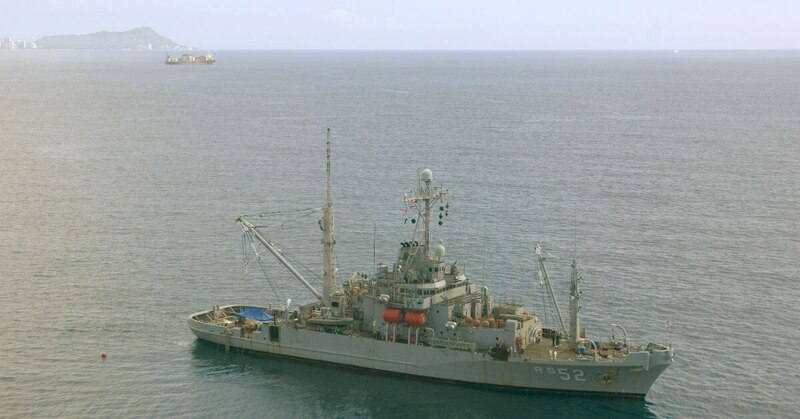 Another was found to have committed Fat Leonard-related misconduct during the 7th Fleet command ship Blue Ridge’s April 2010 port visit to Thailand, as well as a second location that is redacted in the records. That Blue Ridge member accepted free transportation to a party featuring alcohol and entertainment from Francis and his company in April 2010, as well as a dinner at a redacted location. In May 2010, the officer attended a second dinner with other officers that was paid for by GDMA and featured “a pool table, karaoke and jacuzzi,” according to the records. The Navy is in the midst of investigating hundreds of sailors interactions over the decades with Leonard Glenn Francis in the west Pacific. In August 2010, that officer “attempted to join a private party in Manila, Philippines, paid for by GDMA,” according to records. The officer emailed other officers about the private party, but Davidson found there was insufficient evidence to establish that he actually attended the party, according to the records. That officer also attended dinners in Japan and Malaysia in 2010 and 2011 that were paid for by GDMA, but those accusations were not substantiated because Davidson found “there is insufficient evidence” to establish that the dinners were worth more than $20, according to the records. A senior officer with Carrier Air Wing 5 aboard the supercarrier Kitty Hawk was also found to have attended “a lavish private dinner” with Francis that was funded by GDMA during a 2008 Hong Kong port visit, according to records. A member of the carrier Ronald Reagan attended a dinner and private party featuring booze and entertainment that was paid for by Francis and his company during a port visit to Singapore in 2009, according to records. Other infractions substantiated in the records include two destroyer McCampbell officers who dined on Francis’s dime, and another who accepted a magnum bottle of champagne from Francis and his company during a September 2009 port visit while underway with the destroyer Gridley, according to records. That officer also accepted a box of cigars and failed to properly dispose of them, but that charge was unsubstantiated because the cigars were distributed among the crew, according to the records.